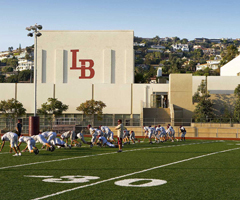 The Laguna Beach Unified School District supports the use of social media to create a thriving online community with students, parents/guardians, staff and community members. Below you will find official District-approved social media sites for academic programs, school sites and LBUSD. If you have any questions about the use of social media, please review the LBUSD Social Media Guidelines and Disclaimer.